A second man has been charged in the death of Chicago Judge Raymond Myles, who was killed outside his home last month. 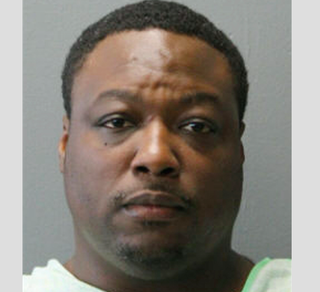 ABC News reports that Earl Wilson, 45, has been charged with first-degree murder in the fatal shooting of the 66-year-old Cook County Circuit Court judge. Police allege that Wilson was the one who shot and killed Myles. A second man, Joshua Smith, 37, has already been charged with first-degree murder as a suspected accomplice. Police charge that he was the getaway driver after the shooting and is related to the ex-husband of another victim in the incident. “We believe [Wilson] is the shooter in this reprehensible attack and was assisted by Mr. Smith,” Police Cmdr. Rodney Blisset said. Judge Myles was killed when he intervened in a commotion involving an unnamed female associate outside his home on April 10. While Smith waited in the car, Wilson allegedly crept up on the woman, took her bag and shot her in the leg, officials said. When Myles heard the gunshot, he rushed outside and confronted the gunman, who shot him four times, killing him. Wilson reportedly had been surveilling the woman for weeks before the suspected botched robbery.